SCRAPiVERSE: PayDay FriDay! Special JO-ANN edition! People lining up at the new Jo-Ann, ready for their giftcards! Warning- this post is full to the brim with photos. And I'll probably ramble on and on. So either get yourself a cup of coffee and sit back- or just run for your life. Your choice. But don't say I didn't warn you. Let's hear it for one of the most exciting holidays- PAYDAY! It happens every other Friday AND it's fun to say! Seriously. Say it out loud. No, with more excitement. That's close, but you're still not selling it- nowwww ya got it- PAYDAY FRIDAY! A funny side note: Back when I was young and poor, it wasn't PAYDAY FRIDAY that I celebrated. Well- it isn't as if I'm just old and rich, now- but you know what I'm talkin' about, right? 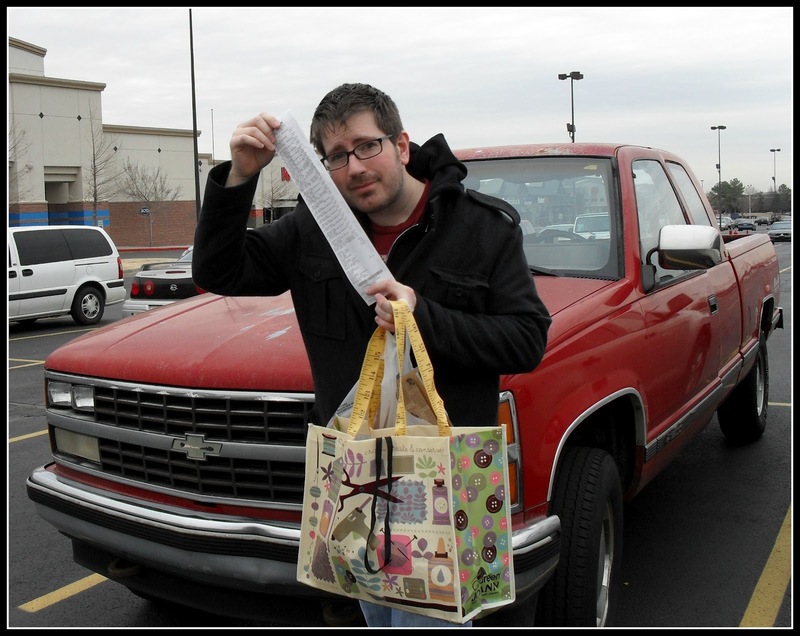 When I was 'young and poor,' I celebrated HOT CHECK THURSDAY. Think of that as Christmas Eve to payday Friday. 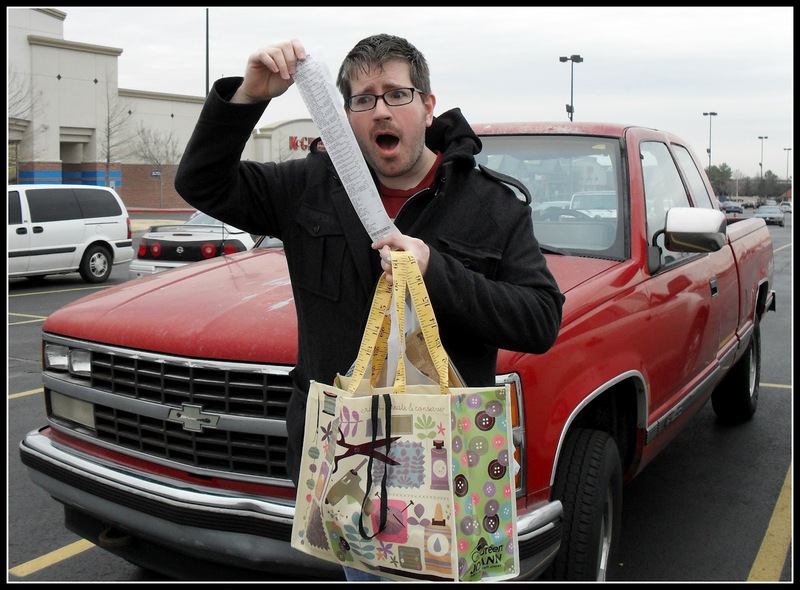 I would go out to buy things (usually only necessities) and write a paper check. Because it wouldn't hit the bank before my paycheck did- so it wasn't technically a HOT check, but maybe a bit toasty. Anybody who's been within earshot of me that past week or so has heard me go on and on about the new JO-ANN location, here in beautiful Oklahoma City. 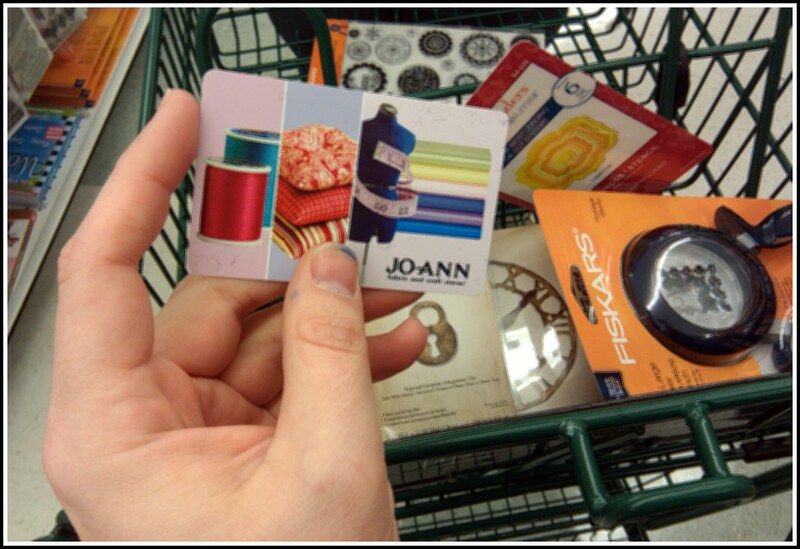 Before, back in the dark ages that were, just a few months ago, we had an 'old' Jo-Ann. Small. Mostly fabric. Usually one employee to cut the fabric then run up front to play cashier. And a very small, badly stocked, sad and pathetic craft section. Depressing. The nearest 'big' Jo-Ann was in Norman, which is a boring forty minute drive away. 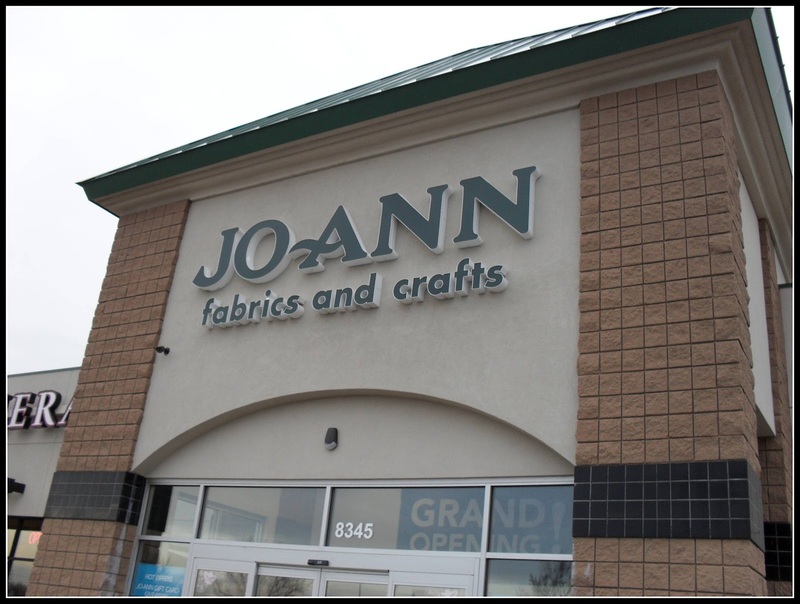 So when I heard that we were getting a big, shiny, brand new Jo-Ann, I was pumped. One more place to use a forty percent off coupon! Whooo! 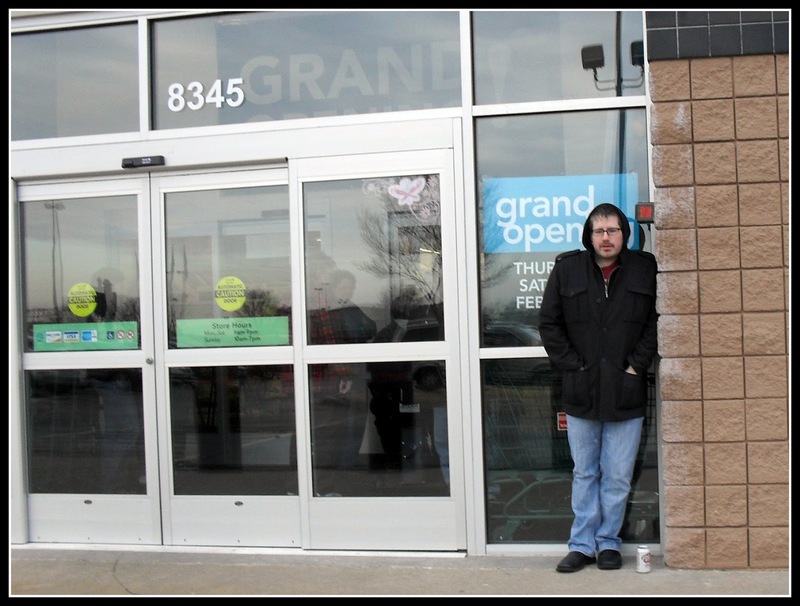 But why was I so excited about the Grand Opening party? 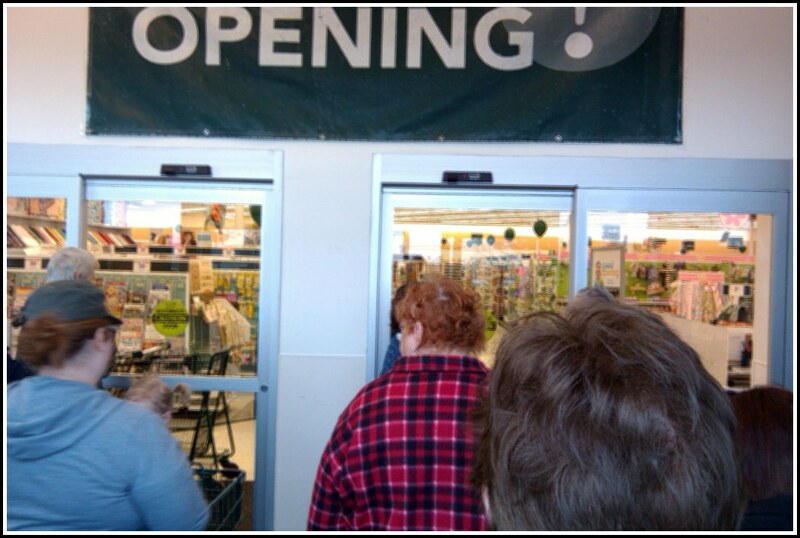 Yeah, they really opened two weeks ago, and yes- I'd already been twice. BUT, for their grand opening celebration, they were not only featuring a FIFTY percent off coupon, but they were also giving away a FREE TEN DOLLAR GIFT CARD to the first one hundred people! I was determined to the one of those first one hundred people. As soon as we started our line- a couple of ladies got out of their mini-van to join us. They told us about some backwoods home remedy, some kind of tree sap, that one of the ladies was using to treat a cut on her hand. 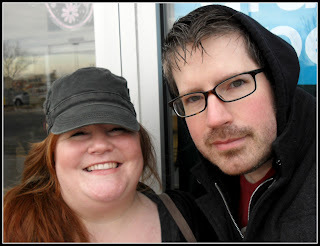 The other lady told Holly how her husband was waiting in the mini-van, sick, and unable to eat for three days. They were going to take him to the hospital as soon as they got their craft shopping finished. Priorities, people. 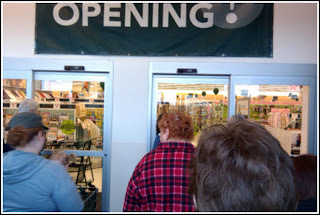 It wasn't too long at all, before a really mean lookin' lady stomped up, and seeing that the electric doors were opening- that she would just get in front of us- and start her own line inside, and wait for the main doors to be unlocked. We thought it was kinda rude- but whatever, we were still going to be amongst the first 100! But then, more people began arriving. And they ALL wanted to squeeze inside the lobby area, instead of waiting in a nice, calm line. We began to see that these ten dollar giftcards were one hundred dollar giftcards, at least in the minds of these pushy people. By now, the line was stretched beyond the doors of the small lobby area, so were now 'in line' again! A lady behind us showed up the jewelry she makes. A couple told us how they'd come yesterday and were back again this morning. Yes, the grand opening party goes on three days, and YES-the free giftcards are given away to the first 100, every day, too! But no- I will not be doing it all over again, tomorrow. They are also having drawings for high-dollar giftcards. I better win. I'll even turn up the volume on my cell phone ringer, just to make sure I don't miss the call to tell me I've one a 500.00 giftcard. And when I do, I'll return all the stuff I bought today, and then buy it all right back up again. See, people, always have a plan. Look at all these serious shoppers! Is this Black Friday? 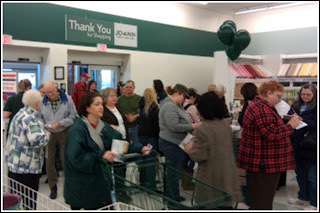 And look at that, Jo-Ann went all out with the grand opening party decor. Four balloons. I was hopped up on Diet Dr. Pepper and adrenaline. Everything seemed to be discounted, and every item on the shelves seemed to be calling my name and promising sexual favors. 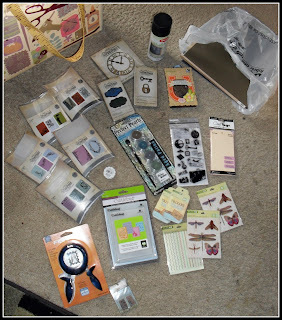 The Tim Holtz dies and embossing folders were all on sale. 11.99 for the Bigz dies, 9.59 for the Movers 'n Shapers, and 6.59 for the 'Texture Fades' embossing folders. I couldn't pass that up- so I got all of the ones I didn't have... Suffering a tiny shred of buyer's remorse, now. How many times will I use that damn Umbrella Man embossing folder?! No! I need it! I also think that I like to own one of EVERYTHING, because- when inspiration strikes, I love being able to HAVE the stuff. Right there. I also love having friends over, and having a huge supply of stock, just ready for happy fun creative time. That brings me joy. Wait, am I rationalizing all this to you or me?! We eventually wore ourselves out and went up to pay- oh! Another free gift! These cool shopping bags! I like the retro design, reminds me of Mid-Century barkcloth. lol this post made my day, you are so fun!! Would love to go shopping someday with you! Awesome goodies!!! Cannot wait to see the rest! So funny! Love that you got the Umbrella Man embossing folder. I bought the Umbrella Man die because it was $5. I don't even own a die-cutting machine, but I couldn't let him go home with just anyone. (Ended up shipping him to someone in a swap.) Can't wait to see the rest of your goodies. I'll be out Sunday or Monday with my 55% off ACM coupon. That's right 55%. See if you can pull one off the website. Wish, wish, wish I had been there with you yesterday! Congratulations on being the first!! Love your commentary post and that you found good bargains and bought lots. Fun pics; thanks. Kor you make me laugh! I love all your posts! and the To be Continued! you totally crack me up. I love having some humor in my scrappy world. You're gonna be a star one day! You mark my words.